Oldenburger premium mare 2011 by Ron Rubin/Dr. Jackson/Fürst Heinrich/Rubinstein appr. 167 cm with brilliant movements and modern type who includes two of the most influential dressage lines in her pedigree (Dam line Elektia and Finnländerin). She is a very sweet, personable horse who loves people! Her movements make her an ideal candidate for the big sport, and her pedigree is a great foundation for an international breeding success! Very sweet girl with a wonderful temperament!. 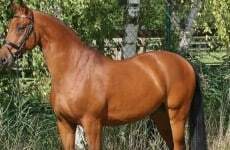 The mare is not riden/not trained the last time, so she is reduced in price , because you can not try her and she is to sale as broodmare. Video for her break is to see by videos. Her grandsire, Dr. Jackson, was over 10 years in the top 1 % of the German breeding list . 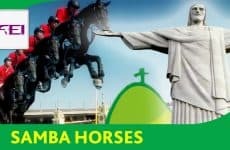 He has gained a reputation for producing top contenders for the international dressage scene and considered the most reliable rideability maker among the offspring of the great foundation sire, Donnerhall. Mare has clear x-rays from 2106 and insamination is possible. Also she has already produced a stunning premium filly.